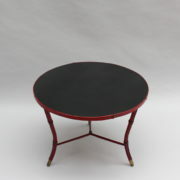 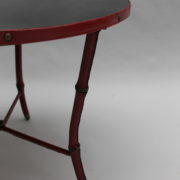 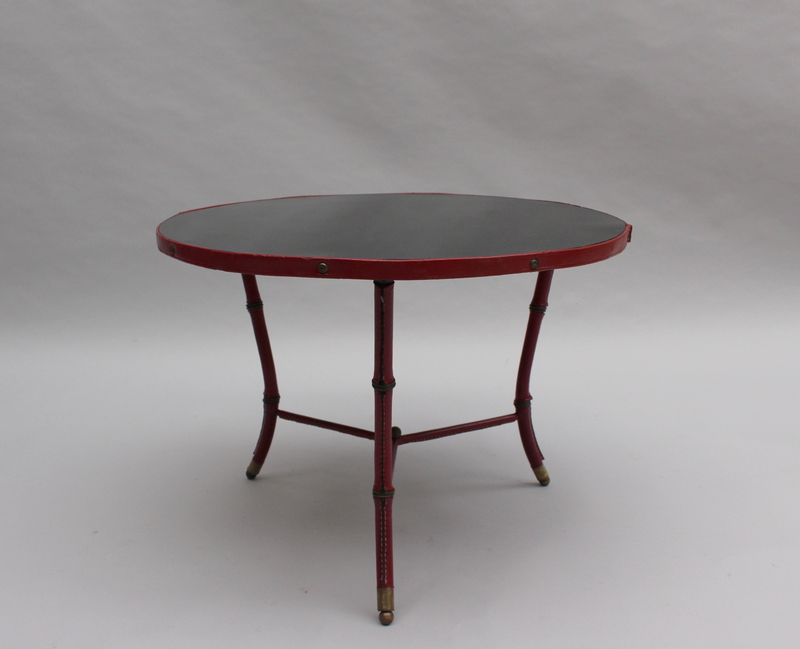 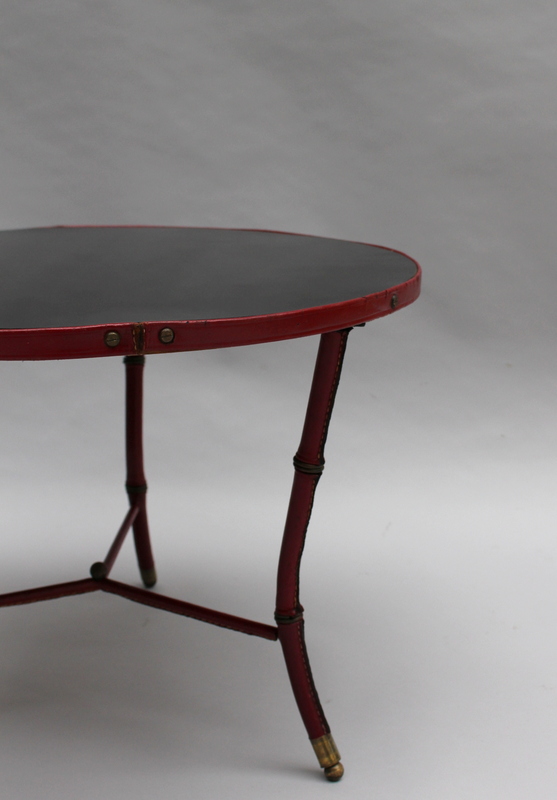 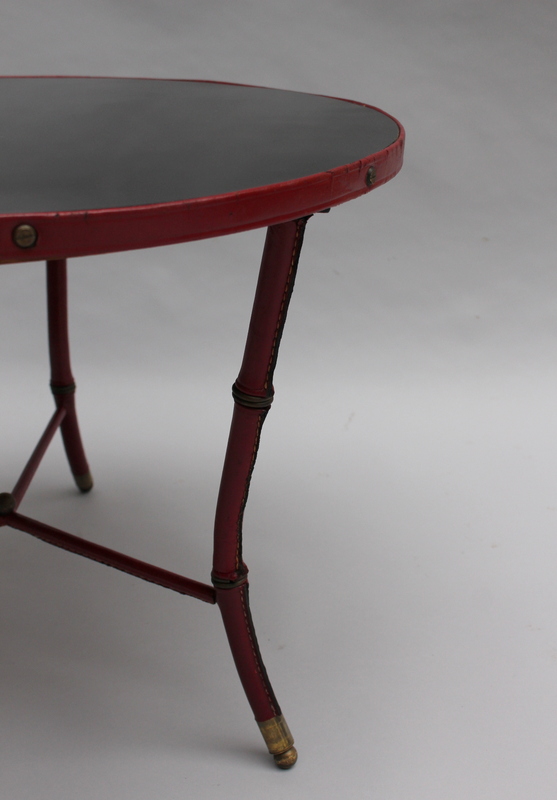 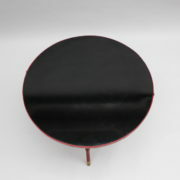 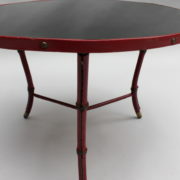 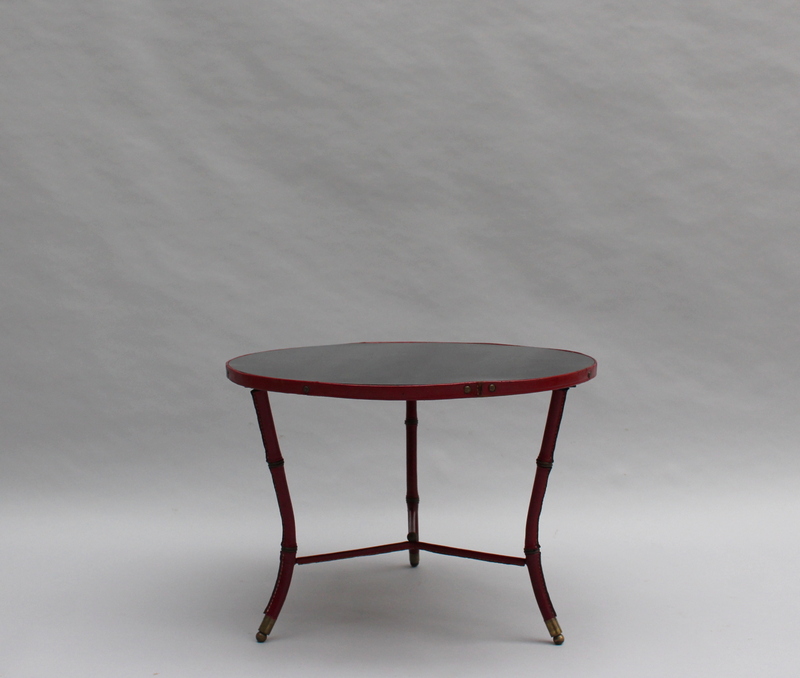 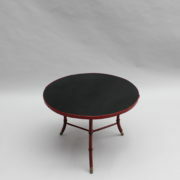 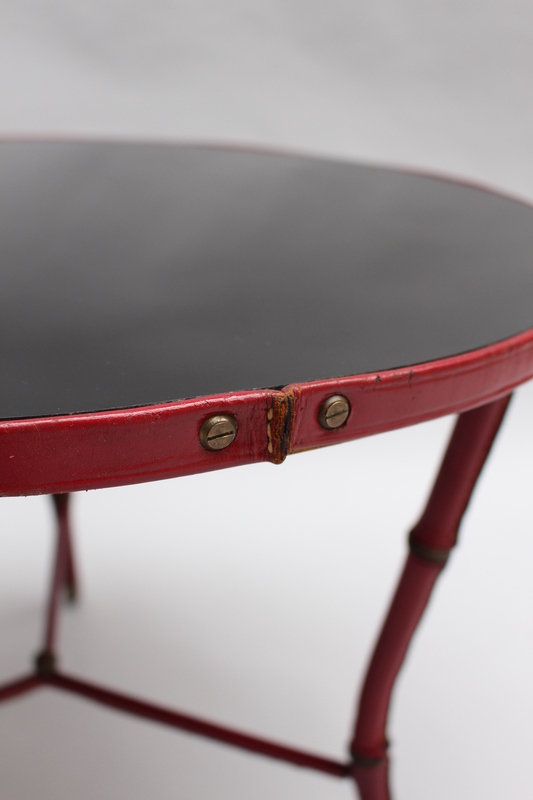 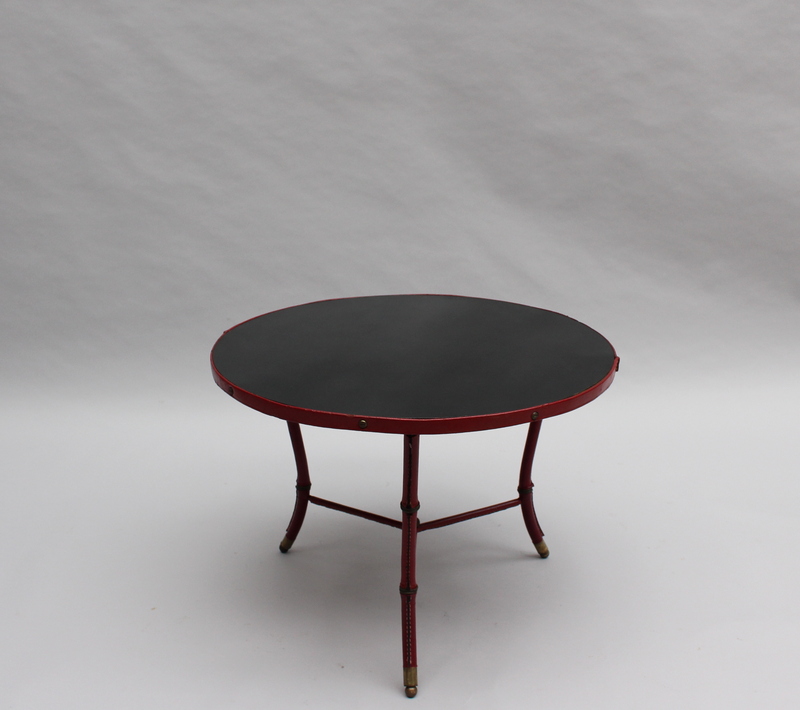 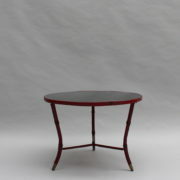 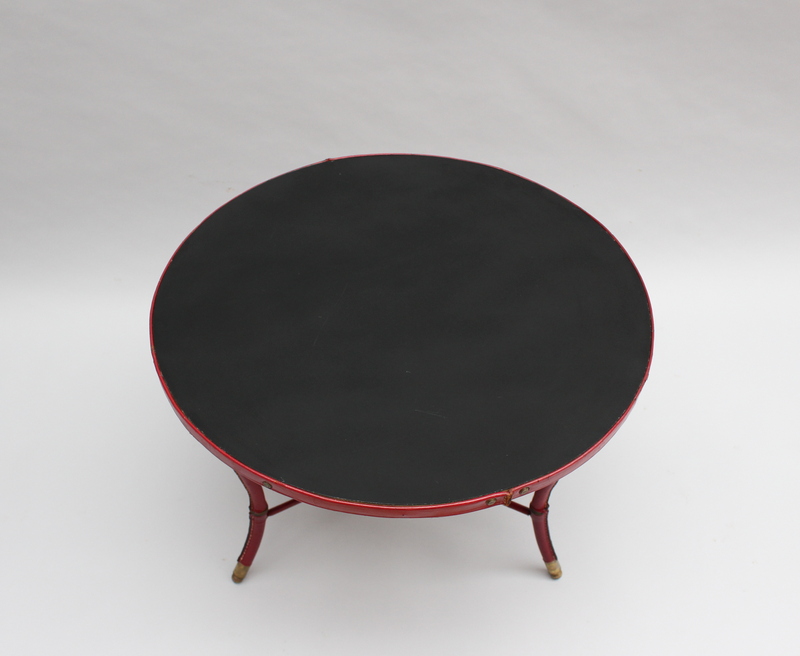 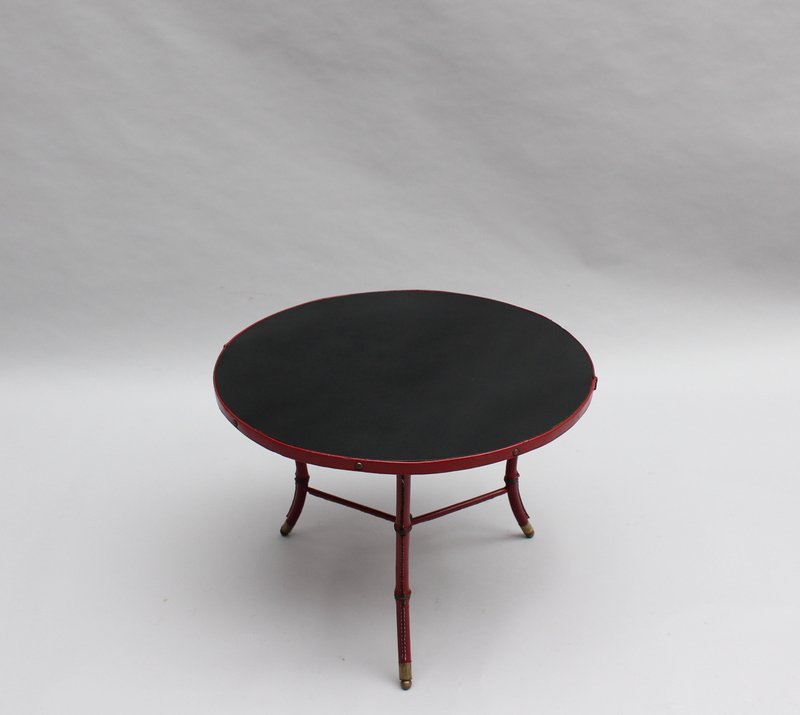 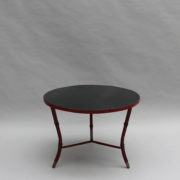 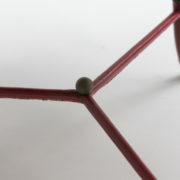 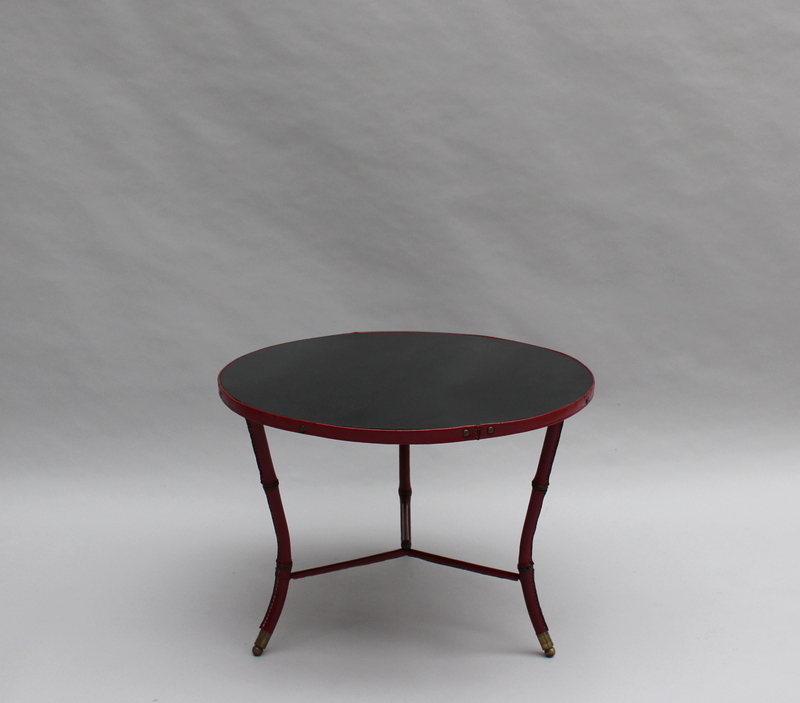 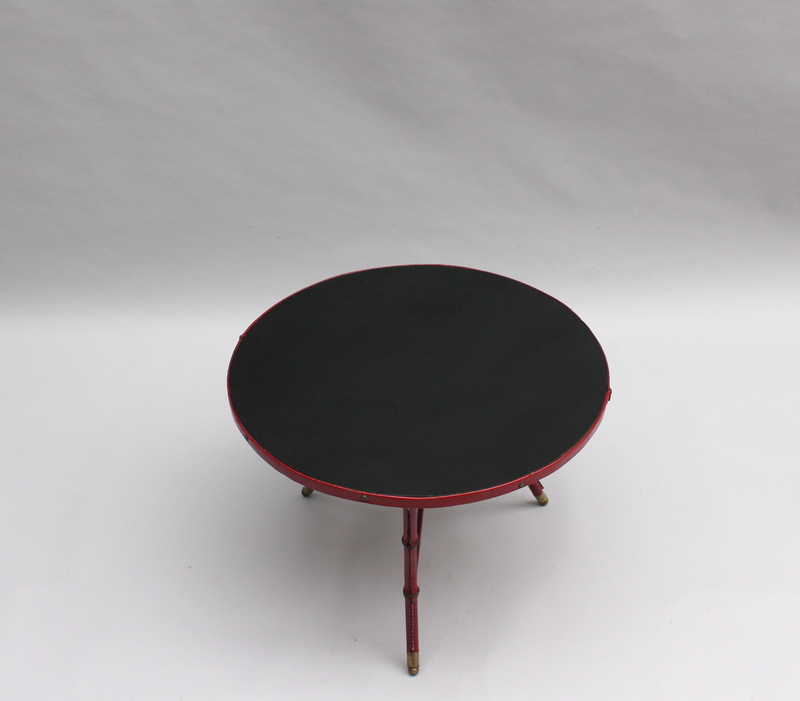 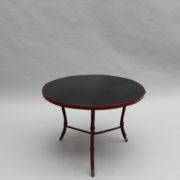 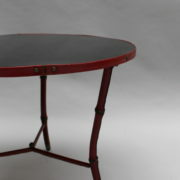 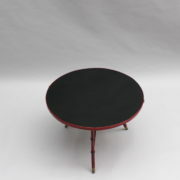 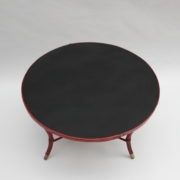 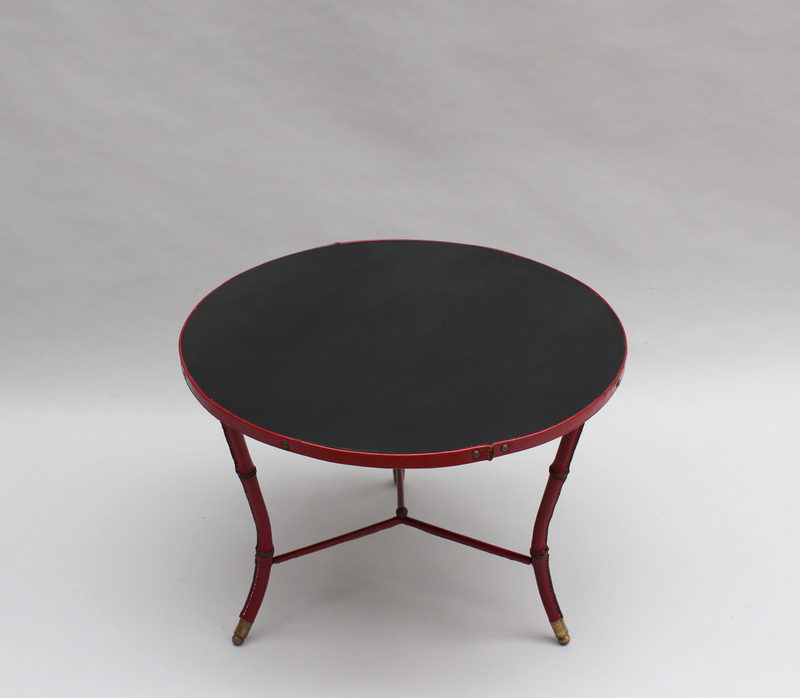 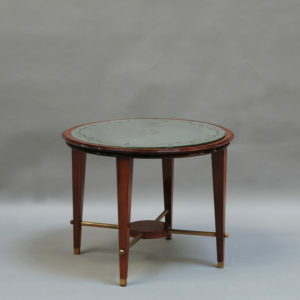 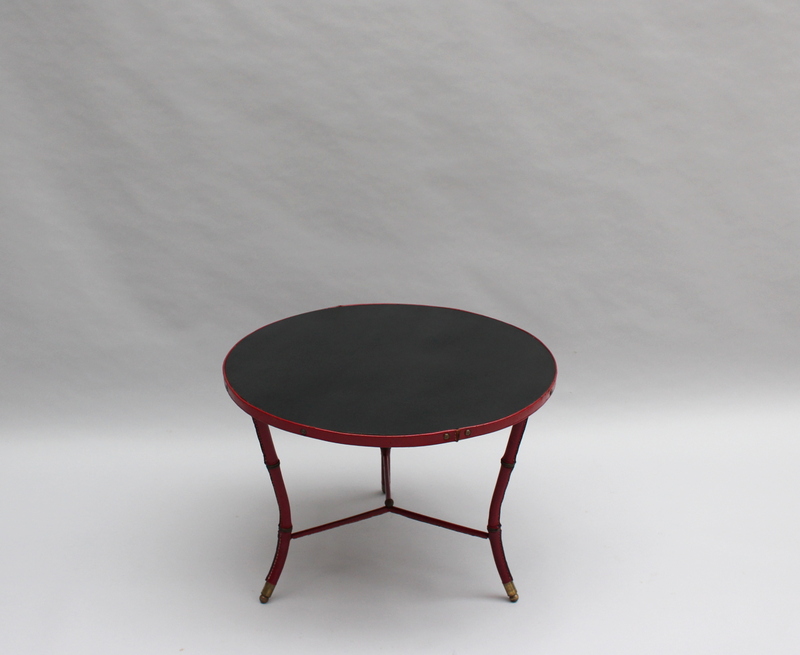 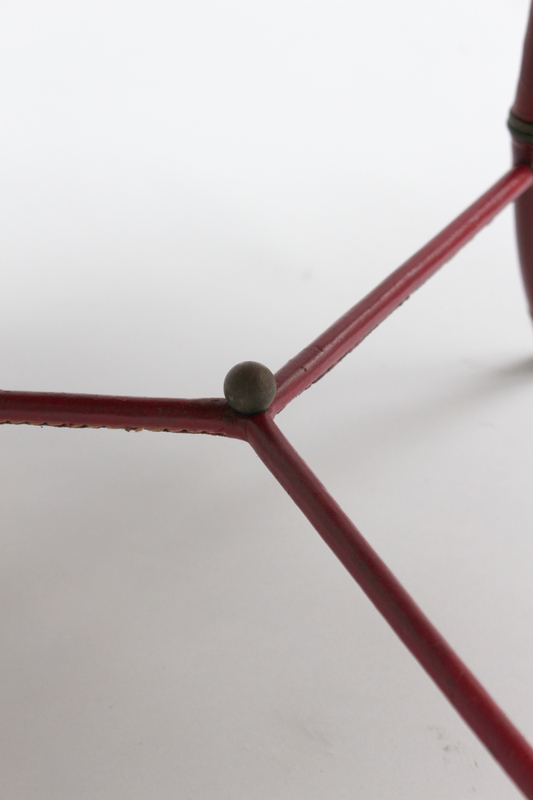 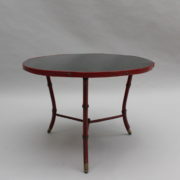 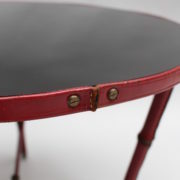 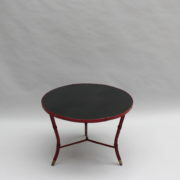 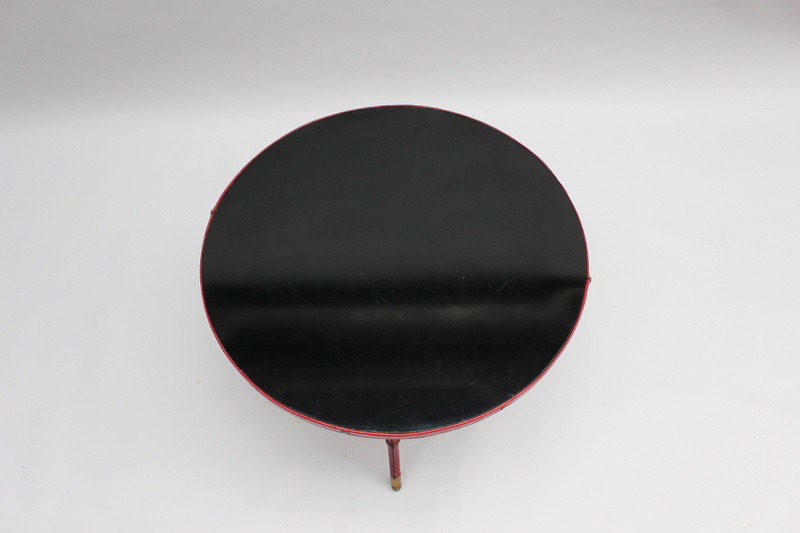 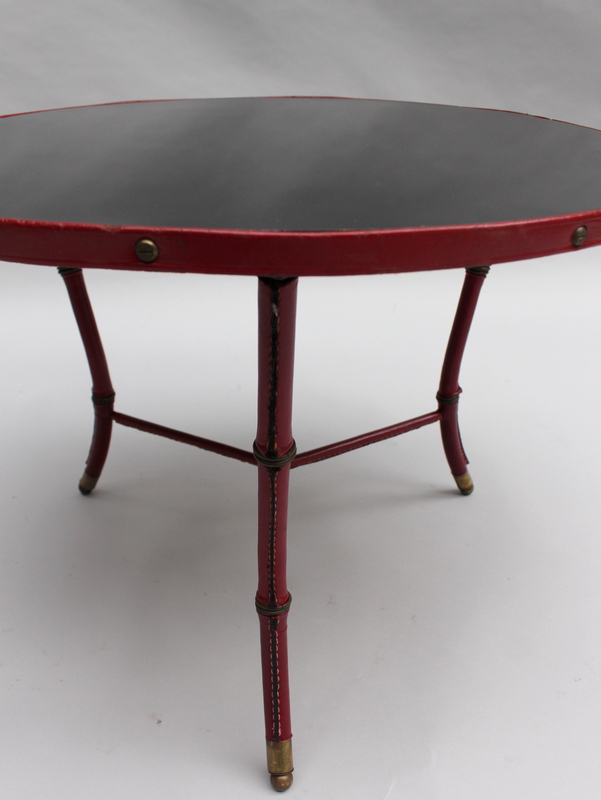 With a red leather covered three legs base, a black laminated round top and bronze details. 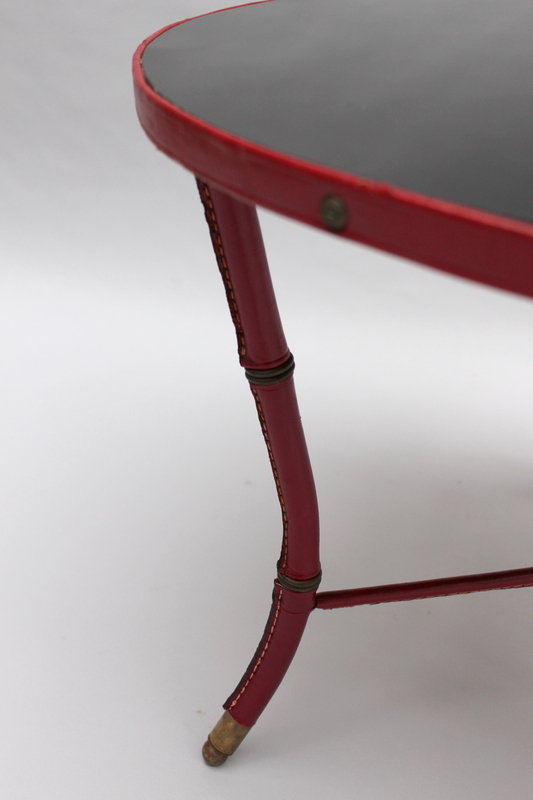 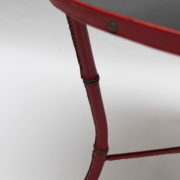 With a red leather covered three legs base, a black laminated round top and bronze details.With upholstered seat and back unit outlined by the chair frame. 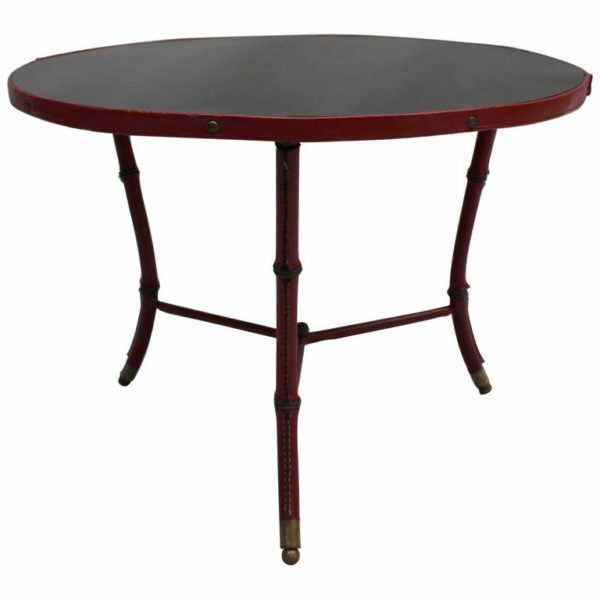 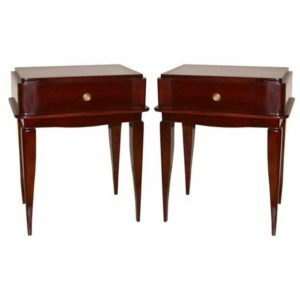 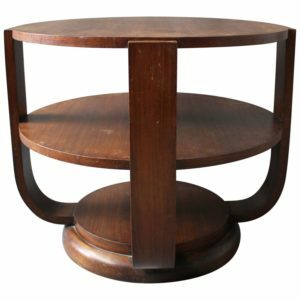 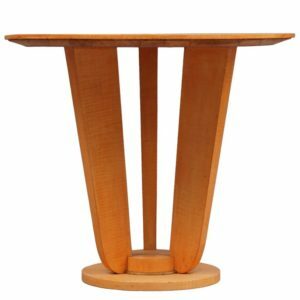 Soyez le premier à laisser votre avis sur “Fine French Midcentury Gueridon by Adnet” Annuler la réponse.